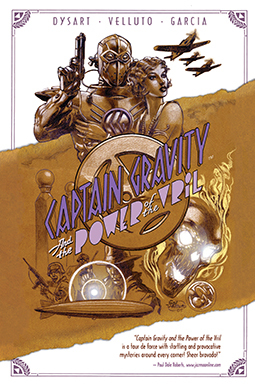 Captain Gravity and the Power of the Vril Graphic Novel collects Issues #1-6 of the popular comics series Wizard Magazine calls “one of the top five independent buzz” titles. 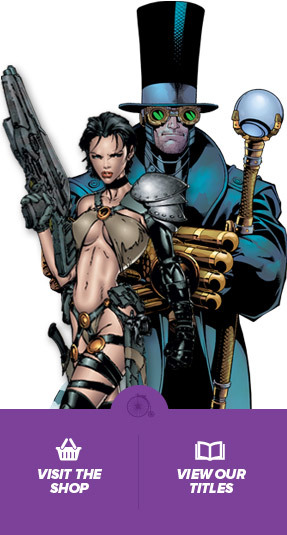 Includes special bonus features, the never-before-seen Issue 4.5, and a remarkable new cover. (July 2006) Softcover. 200 Pages. Full Color.